Choosing a carpet cleaning can be an overwhelming task, especially in a bigger city like Petaluma, where there are a lot of options (and a lot of lower quality options). It’s important to choose the best carpet cleaner out there for your home and family. Here at North American Chem-Dry, we aim to make your choice easier by offering top of the line carpet cleaning services. Don’t settle for less. 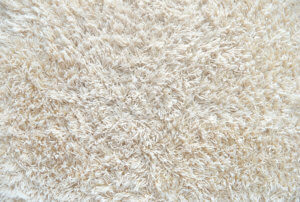 Learn more about what makes us a great choice of carpet cleaner below. At North American Chem-Dr, we’ve spent years developing our state of the art cleaning system, improving on older traditional systems. Chem-Dry’s Hot Carbonation Extraction (HCE) method uses up to 80% less moisture than steam cleaning. This means your carpets are dry in hours, not days. Mold and mildew love damp places, and carpets that are cleaned by steam cleaners in Petaluma are often a great breeding ground for these dangerous contaminants. Because carpets cleaned by Chem-Dry dry faster, there is much less chance of mold and mildew growing. You can enjoy your clean, dry carpets faster and with more peace of mind. Drier carpets mean cleaner carpets. In addition to not leaving behind lots of extra water for mold to flourish in, we also don’t leave behind any dirt-attracting soap residue that other cleaners often do. This soap residue attracts dirt and traps it in your newly clean carpets, which actually makes carpets get dirtier quicker. Chem-Dry doesn’t use any of these harsh chemicals or soaps. Instead, our HCE method harnesses the power of natural carbonation. It works similarly to club soda: millions of tiny carbonated bubbles burrow deep into your carpets and blast dirt and grime to the surface where our extraction equipment whisks them away. Don’t settle for just a surface level cleaning, use Chem-Dry to clean deep within your carpets. It makes sense that a cleaner carpet is a healthier carpet. However, we know just how important health is to families in Petaluma, CA, and everywhere else, so we hired an independent lab to measure the effectiveness of our carpet cleaning. The study found that Chem-Dry removes 98% of allergens from carpets and upholstery* and 89% of bacteria when a sanitized is added*. We also remove pet urine odors and bacteria from carpets. This means your family will breathe easier when you choose North American Chem-Dry for your carpet cleaning needs. “Have used Mike and his cleaners for years. Would not use any other. They are very professional, on-time and friendly. I have vacation rentals that are pet friendly, and a home with many pets. They do a great job, often going the extra mile.” Caroline M.
Get Your Carpets Cleaned Today! What are you waiting for? If your carpets are dirty, don’t wait to call in the experts at North American Chem-Dry. Call today and get cleaner carpets for the whole family to enjoy sooner. *Based on studies conducted by independent laboratories of Chem-Dry’s HCE (Hot Carbonating Extraction), P.U.R.T. (Pet Urine Removal Treatment. Allergens tested were dog and cat dander and dust mite allergen. Pet odor results based on testing with the most common odor sources found in dog and cat urine. Pet urine bacteria results based on Chem-Dry’s HCE cleaning process and a sanitizer, combined with P.U.R.T. All bacteria results include use of sanitizer. Figures are an average across multiple tests.